My husband and I have recently been utilizing our meat grinder to make some delicious dishes. We enjoy our food spicy! You can easily make this recipe milder by adjusting the amount or type of chili you add to the ground pork. I found this page, the cook’s thesaurus, which list chilies by their heat level. We found our dried chilies at a local international market. I’ve seen several varieties of dried chilies in the international section at our local grocery store as well. We experimented with chilies and our heat preferences by grinding one chili of each variety and tasting them. It was a spicy adventure! 5 cloves garlic- finely minced. Meat grinder– if you have it. Start by making the chili flakes. Trim the stems from the chilies and place in a food processor or spice grinder. Process on high until all the chilies are processed until small flakes. Remove chili flakes from process and set aside until it’s time to season the pork. Use 4 Tablespoons for a more mild sausage and 6 Tablespoons for a hotter sausage. If you want milder flakes, leave out the Arbol and Pequin chilies and add more ancho or Guajillo chilies. In a large bowl mix the pork chunks with the dry ingredients and garlic and let stand for 1 hour to let the flavors combine. 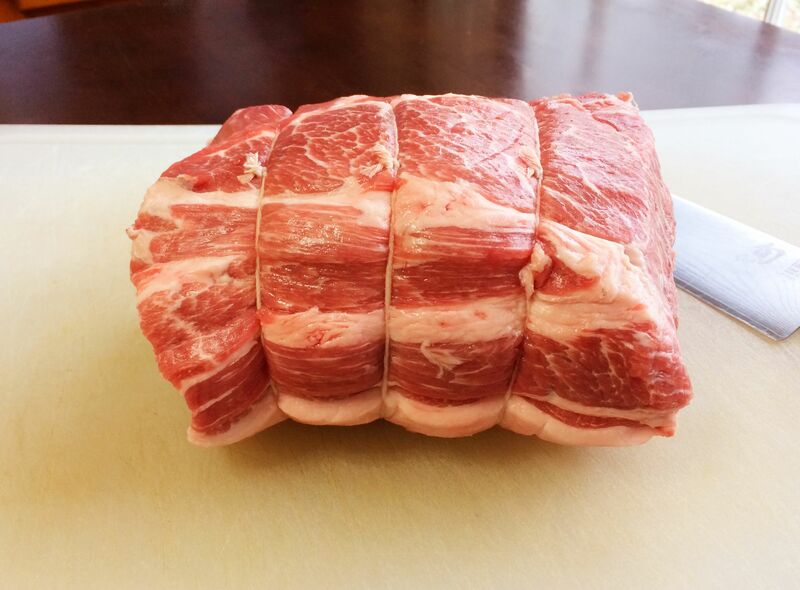 Once the meat has had a chance to marinade process it in the meat grinder or food processor until well ground. 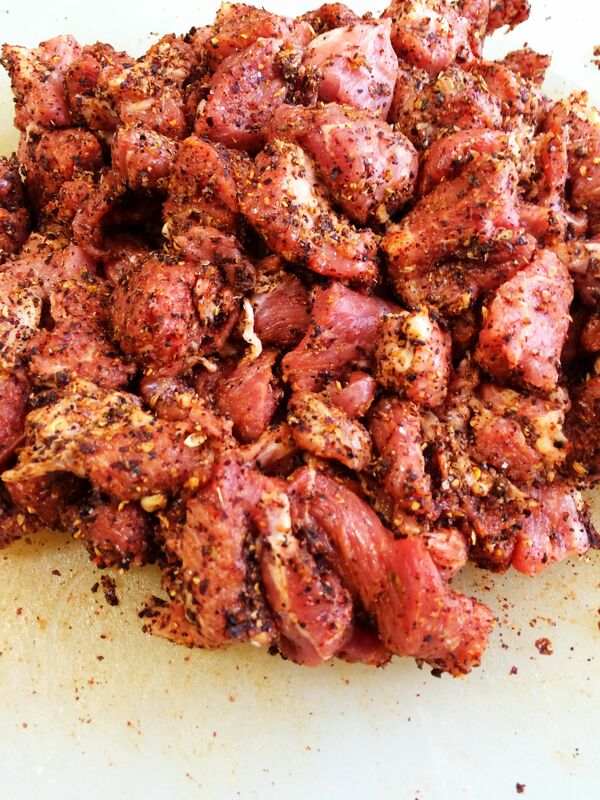 Let the meat marinade at least for 1-2 hours or overnight before using. 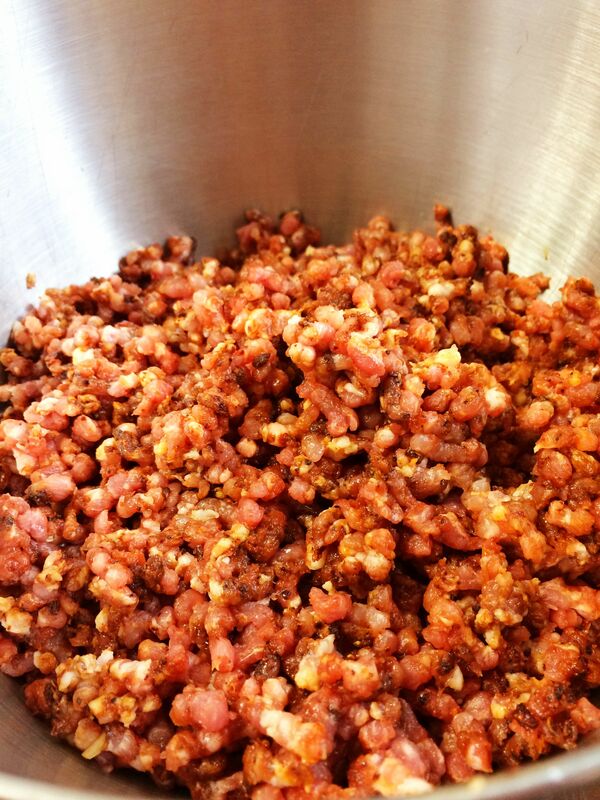 If you don’t want to grind your own- you can start with a base of ground pork and just add the seasonings to it. You can use this sausage as ground meat for tacos, as a breakfast meat, or in stews. I used some of this chorizo in a spicy chorizo and seafood stew- recipe coming soon. If you feel so inclined, you could also stuff the chorizo into casings to make link sausages. We started making our own link sausages earlier this week and I hope to be posting a tutorial on that soon.